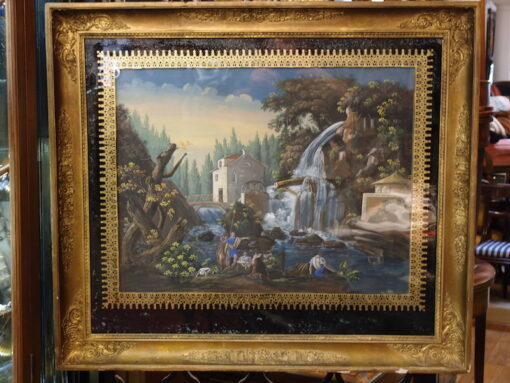 Home » Products » Art » C1830 French Guache Painting. 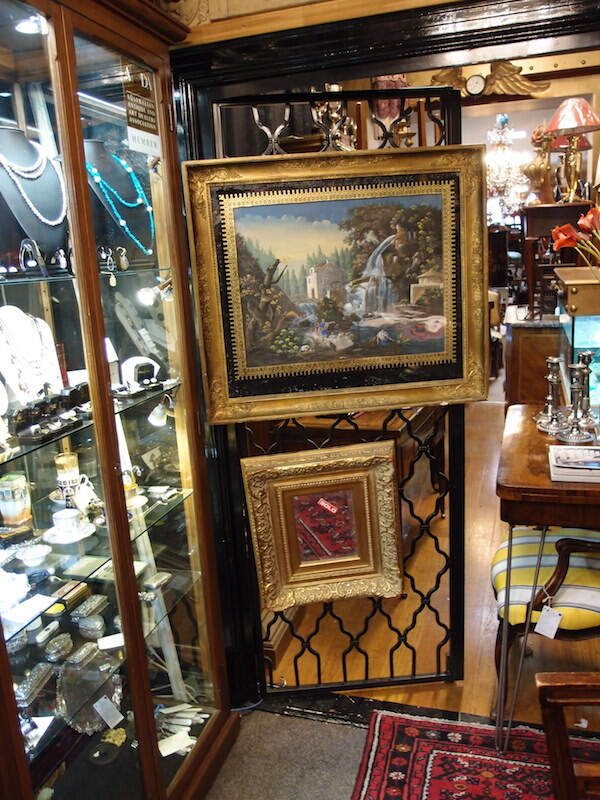 Original Verre Eglomise and Gilt Frame. This French Restauration period painting is in gauche (opaque watercolours) on card. The original gilt Gothic bravery and black bag ground glass, called verde eglomise, is miraculously retained. The original gilt frame with applied classical decorations is also an unusual survivor. The frame is 83 cm by 73 cm. The painting style is based on the frescoed wall paintings of Pompeii and Herculaneum. Ancient painters used a rapid, graphic style to keep up with the drying plaster into which they were painting. This style was, not surprisingly employed during the late neoclassical period of the 1830s. For similar reasons this gauche resembles the block printed scenic wallpapers of the day.